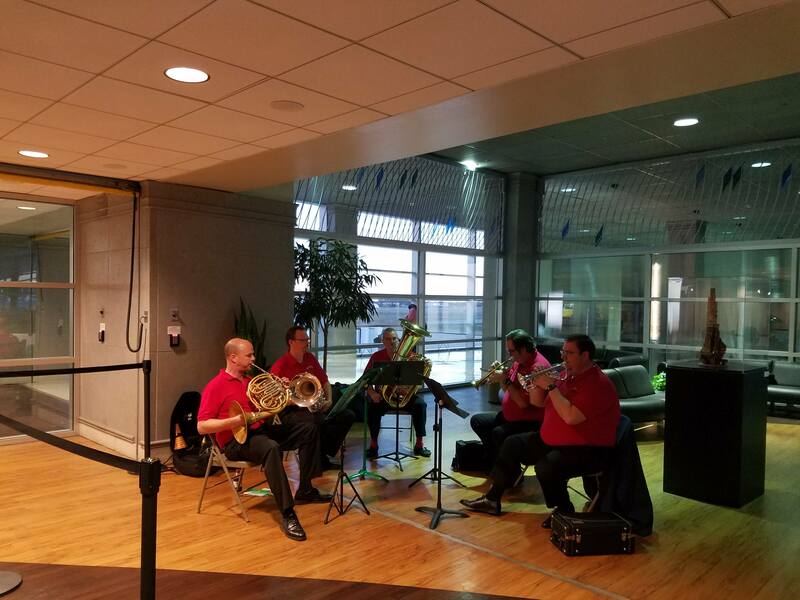 Thanksgiving is a very exciting time of year for airports across the United States. The days around Thanksgiving are often referred to as the busiest travel times of the year because of the high concentration of passengers trying to reunite with their families before Thanksgiving day. According to a report by Forbes**, approximately 29 million passengers were projected to travel via U.S. airlines in the 12 days around Thanksgiving in 2017. Of those days, Thanksgiving Day itself is projected to be the quietest at 1.73 million passengers, and the Sunday after Thanksgiving is the busiest with over 3 million projected nationwide. On Sunday, November 25th, 2018, TSA reportedly processed the highest quantity of passengers that PTI has had in one day since 2012. The Airport Authority is committed to making travel as easy and enjoyable for our passengers as possible, no matter the time of year. 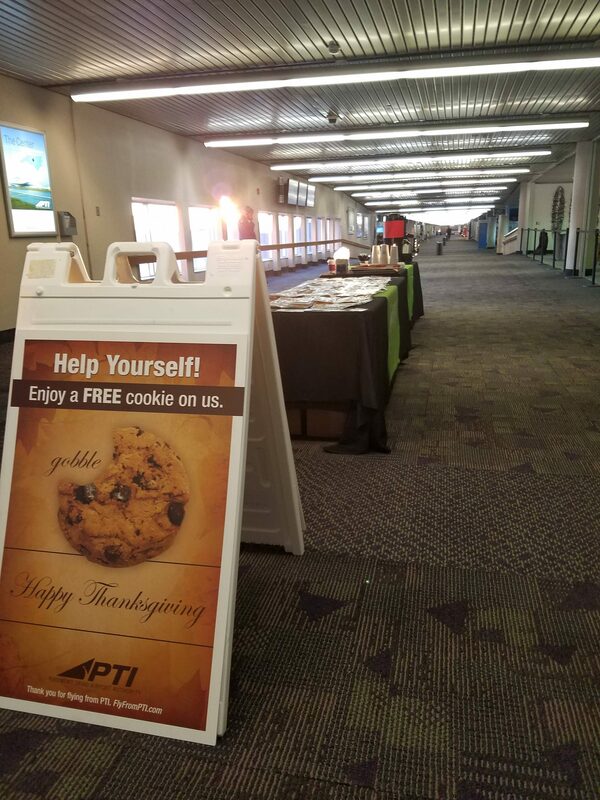 As a special welcome to our travelers who were flying to and from PTI on the day before Thanksgiving, the Piedmont Triad Airport Authority and our Airport Ambassadors served chocolate chip cookies, coffee, and hot chocolate after the security checkpoints on both of PTI’s concourses from the hours of 6:00 am to 12:30 pm. 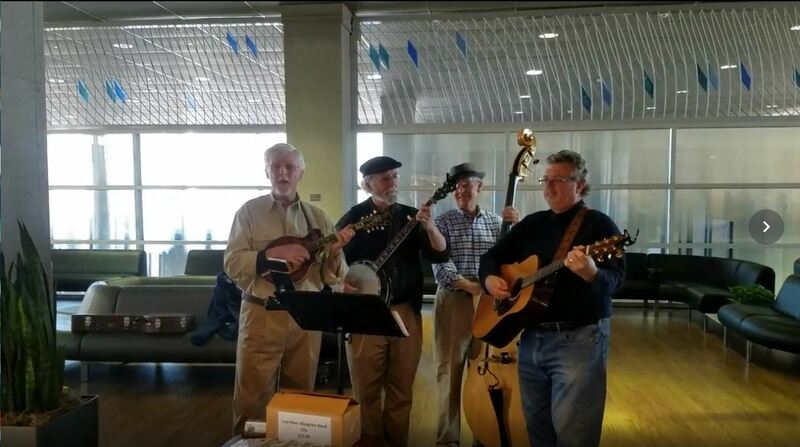 To entertain passengers in the afternoon and evening hours on that Wednesday, we had the Lost River Bluegrass Band and the North Carolina Brass Band performing in our meet and greet areas. 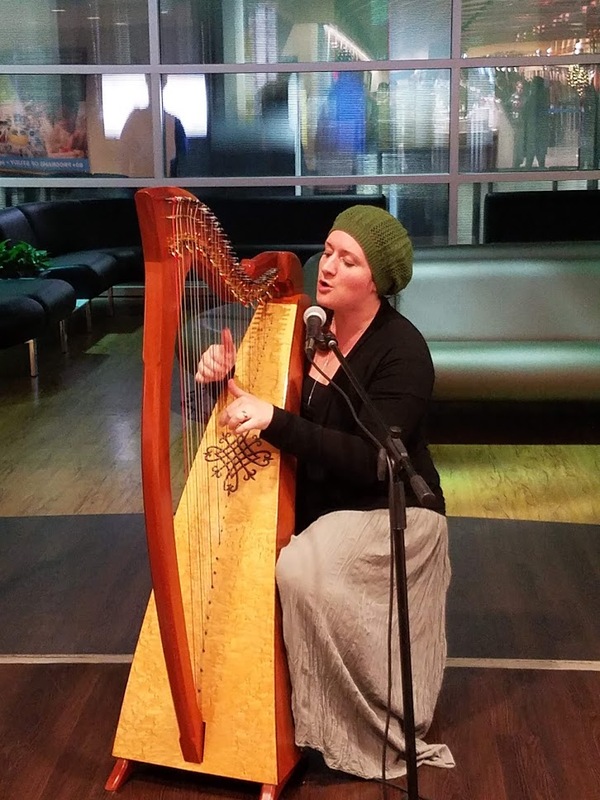 We also had musicians performing on Sunday, November 25th, including harpist Eryn Jones Fuson and the a Capella group, the Tarheel Chorus. 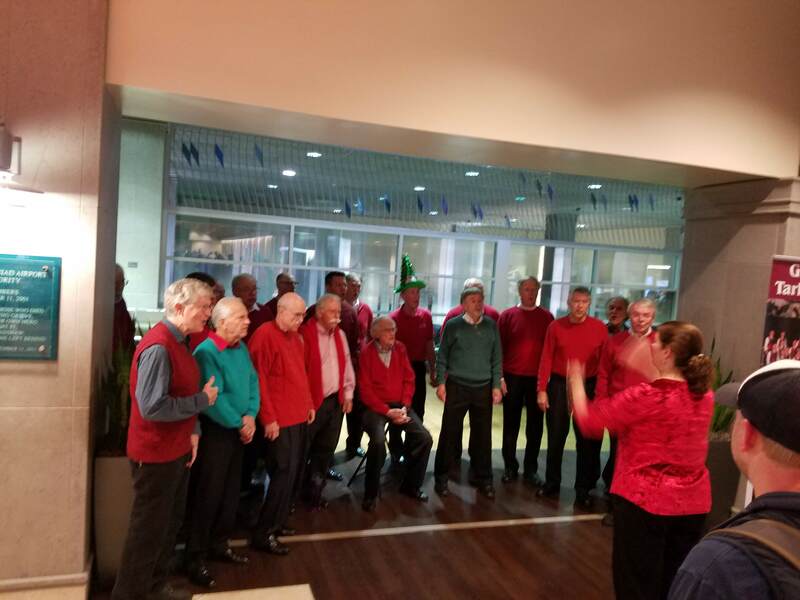 While Thanksgiving is now over, there is still much holiday cheer to come at PTI! 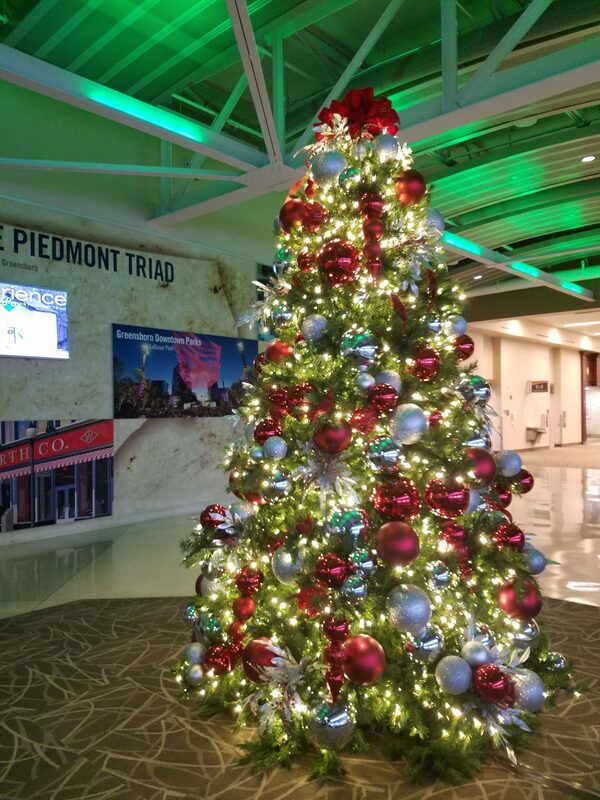 Our two beautiful new Christmas trees are up in the terminal, looking merry and bright. There will be sweet treats and beautiful music to come in December, and we hope you come to visit!